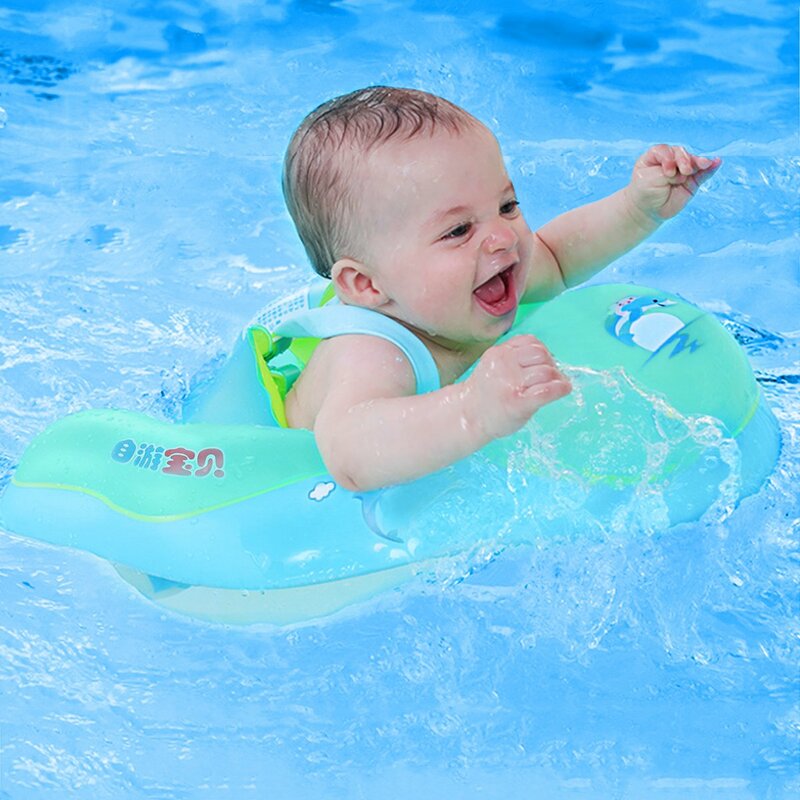 Categories: Baby Swimming Floats, Pool and Beach Toys, Sports Toys and Outdoor, Toy Types, Toys, Toys and Games. 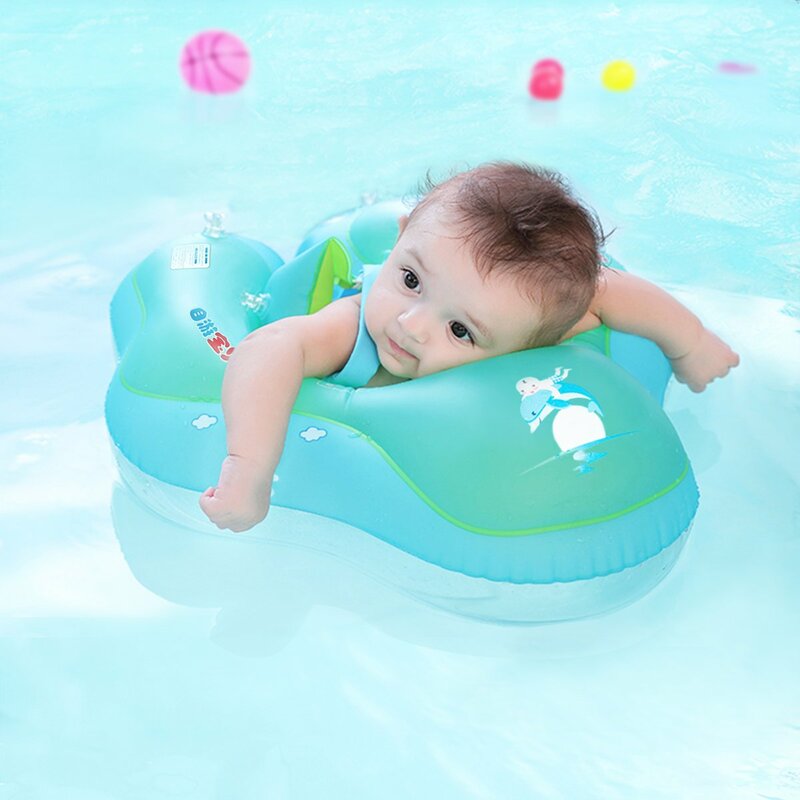 【Helping relaxation and Better Sleep for Babies】There are colorful bells in the baby-float ring provide extra water fun! When Learning swimming, children exercise their muscles by kicking their legs and by pushing themselves off against the edge of the bath. 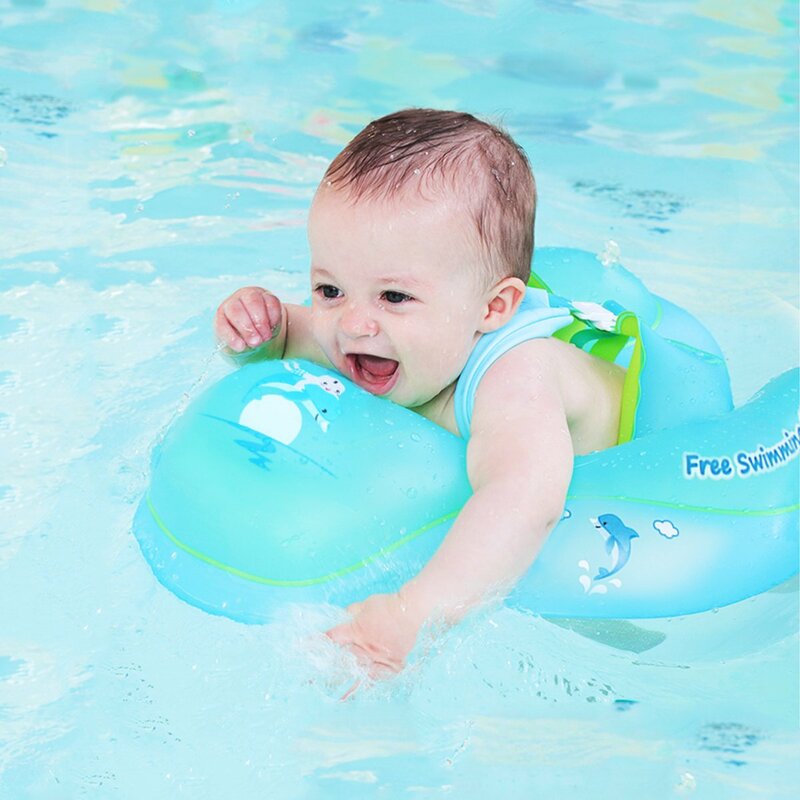 Swimming is helpful to the development of the baby’s brain and hands and feet. 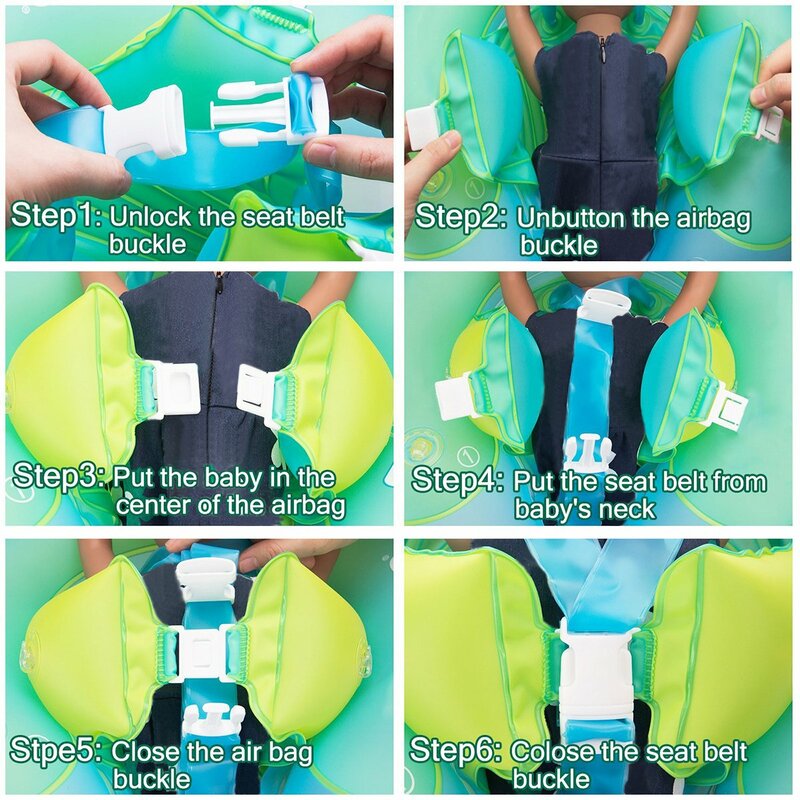 【Patented Waist Support Version to Ensure Baby Swim in Natural Position】Equipped with Inflatable Waist Holder and anti-flip adjustable Safety Lock Belt, LOYO baby floater can hold babies in perfect position to learn to swim and kick their legs in the water, not just playing in the water like traditional upright designs. 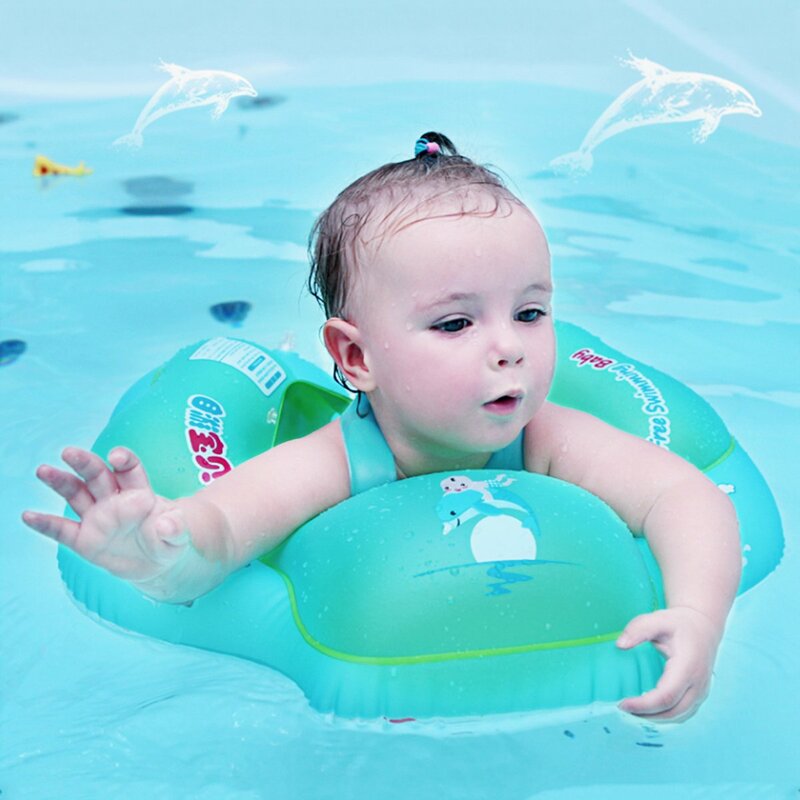 【Dual Inflation Chambers Add Safety and Stability】LOYO Baby Swimming Float features a large outer ring and smaller inner ring for added safety and stability. What’s more, each swim ring has a Leak-proof air inflate mouth, easy to inflate and deflate for travel usage and quick storage. 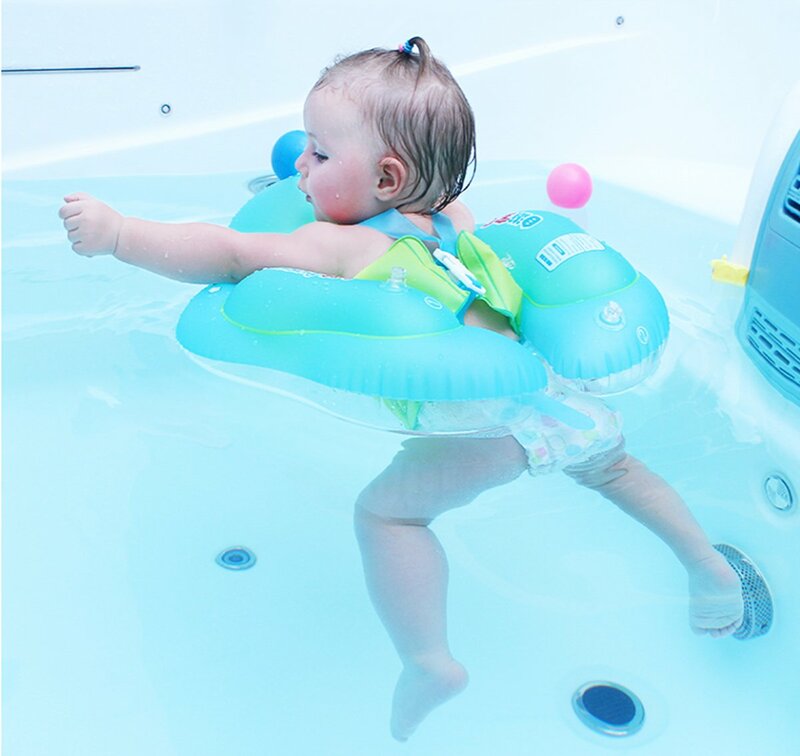 【2 Air Bags aside of Baby Float Improve Balance】2 air bags on both side of baby pool float to improve balance and keep stable even baby moves up and down. Allows your babies to kick and move her arms almost unaided. Just enjoy splashing in the pool. 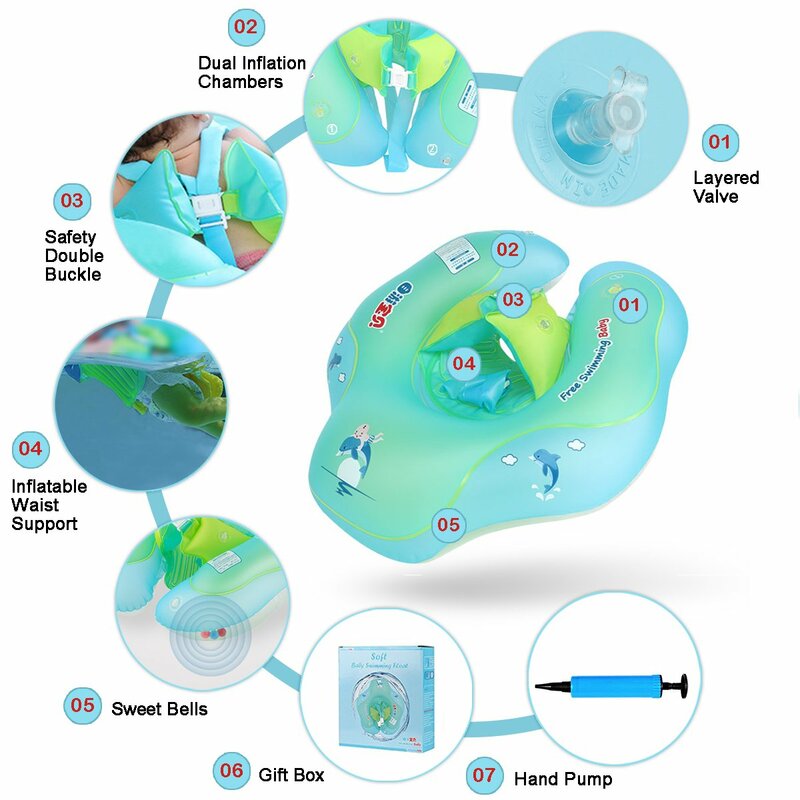 【Hand Pump is Included for Easier Use】Baby swimming float is made of Eco-friendly PVC material, EN71 Certificate Approved, absolutely safe to use. Coming with a hand pump to inflate the pool float. Gift box is included suitable for kids birthday gifts. Large size for age 6-30 months baby, small size for age 3-12 months baby.